Carole Stone's most recent book of poetry is Traveling with the Dead, Backwaters Press, 2007. Other books include Lime and Salt, Carriage House Press and five poetry chapbooks. A chapbook, Paris Etudes, is forthcoming from Finishing Line Press, 2008. 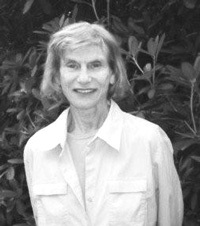 English Professor Emerita, Montclair State University, she received Fellowships to Hawthornden Castle International Writers Retreat, Scotland, Chateau de Lavigny, Switzerland, the Rothermere Institute of American Studies, Oxford University, England, and three Fellowships from The New Jersey State Council on the Arts.